They are sisters. Sulochana, Sadhana and Suruchi. The three daughters of Kantibai Pandit, a tax Inspector. 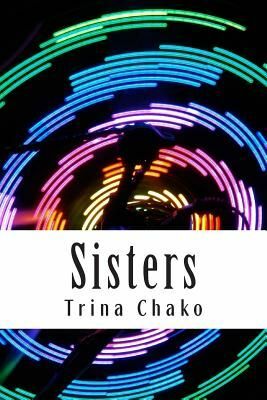 Set in the turbulence and uncertainty of a post- independent India, amidst wars between India and Pakistan in 65' and 71', it traces the lives, the loves, the joys, the disillusionment and triumphs of these sisters. Sulochana, the oldest, is warm, sunny natured, good and beautiful. She is Kantibai's pride and joy. Sadhana is the cuckoo in the nest. Neither beautiful nor intelligent, she is a source of constant irritation and embarrassment to her father. Suruchi is pure intellect, diametrically opposite to the warm Sulochana. Suruchi cannot comprehend emotion. As the story moves forward, the three sisters with their divergent natures, looks and attitudes meet life in their own individual ways. They make their choices, learn about themselves, map out their destinies and discover their strengths and weaknesses. In the end the sisters succeed in doing what they wanted to do. Make their mark in society. And they also realize that different though they are, alone though they may be, they are inextricably linked. In their aloneness, they are one. The Pandit sisters.